Savvy Spending: Free magazine subscriptions- Better Homes & Gardens and Oprah! 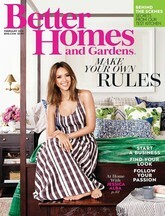 Free magazine subscriptions- Better Homes & Gardens and Oprah! These are both still available! Get a FREE 2-year Oprah magazine subscription.